Work by Koseki Ono and Mitsumasa Kadota is pervaded with colour. It springs from the artists’ bodies, but goes far beyond even what the artists themselves intended. Koseki Ono pursues a special brand of printing using numerous layers of ink, imposed in multiple impressions. This imparts changing colours reminiscent of flowers blooming in profusion. Depths and gradations are like those of a three-dimensional tableau. The sight of an animal skull, for example, or a cicada shell, proliferates with pigment and will stimulate viewers’ tactile as well as visual sense. Mitsumasa Kadota challenges existing definitions of colour and pigment. He has recently also taken up the neutral range of the Japanese traditional palette, such as sekichiku(Chinese pink) and asagi(pale indigo). Picture planes have a newly-developed pearly hue, emitting a gentle radiance and giving the sense of craft objects. As an artist, he pursues the uniquely Japanese expressions. 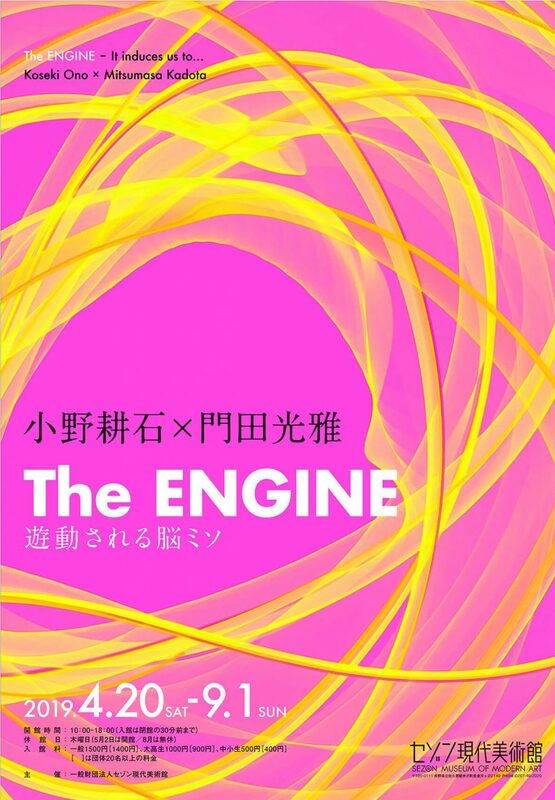 The ENGINE is an exhibition on the theme of driving forces in creation. It investigates what emerges from the artists themselves and which cannot be captured by existing formats and techniques. The exhibition shows work by two artists, displayed alongside pieces from the Sezon Museum of Modern Art’s own collection. It explores ‘engines’ that ignite creative work, and the key of ‘colour’. This exhibition will liberate the mind and invite viewers from the concept of each work, into wider and unknown sensations.